Servicing our community since 1947. Click the link below for current specials and promotions! In January of 1947, shortly after Frank Rio Sr. returned from the war, he started a garage behind his parent's house at 5603 Sprague Street called Limp In and Leap Out. His brother, Uncle Pete, joined up with Frank a year later when the garage moved down the street to 5618 Sprague and it was called Rio Brothers Auto Body. Then in 1963, the year Kennedy was shot, Rio Brothers moved to it's current location at 937 E Cheltan Ave. Sadly, Uncle Pete passed away in 1970. But as soon as Frank Jr. graduated from high school, he began working as a mechanic and running the business with his father. 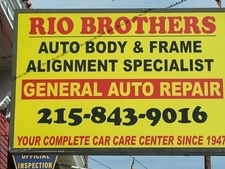 Both Frank Sr. and his wife Jennie, along with Frank Jr. and his wife Lois are still working at Rio Brothers today. 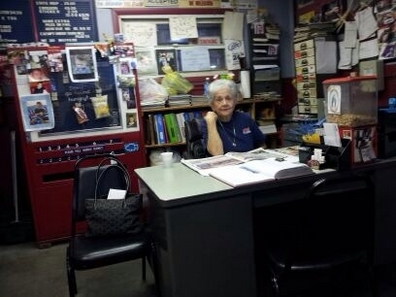 If you are looking for a trip down memory lane, or you simply need an oil change, come in and see the Rio Family.